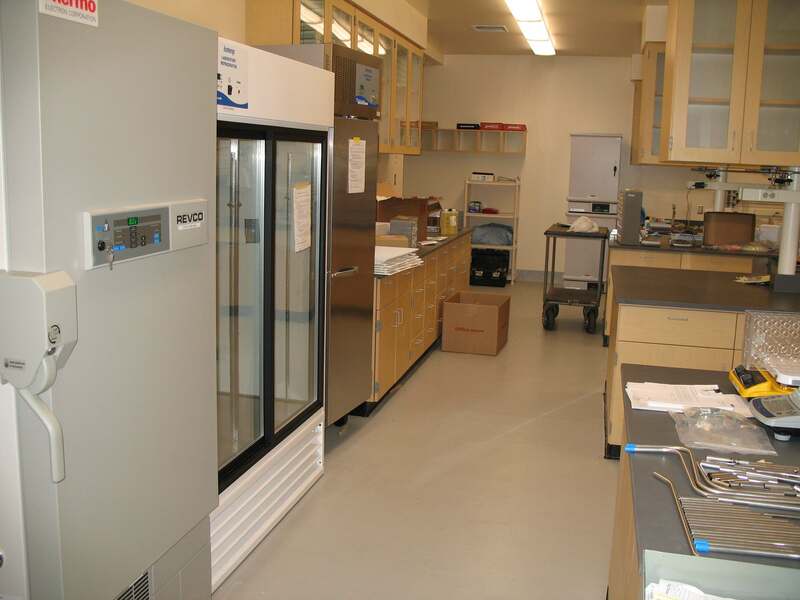 Our BSL-2+ laboratory in Bainer Hall was newly constructed in 2006-2007. The laboratory was renovated again in 2016-2017. Prof. Davis' laboratory occupies ~1,000 ft2 of tailored space in Bainer Hall on the University of California, Davis campus. The lab was designed and tailored to support the interdisciplinary research on-going in her group, and the lab is certified for biological, chemical and radiological use.